Trained farmers in integrated pest management (IPM) are proved to make more profits in their rice production, according to a report from Plant Protection Department, Viet Nam. 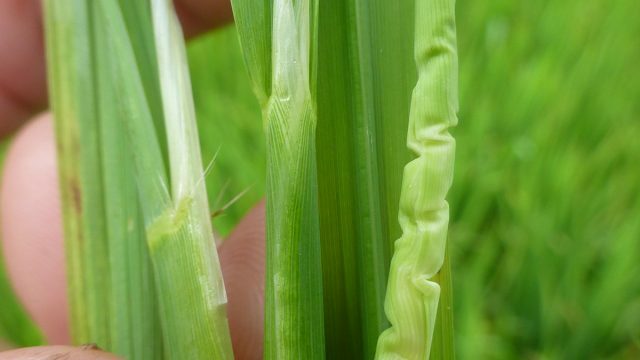 Integrate Pest Management in rice cultivation has been developed in Viet Nam 20 years ago which control pest based on the rice field ecology, natural enemies and climate adoption. According to the report in June 2017, in comparing the rice yields between IPM and convention farming practices, although they are not different, the IPM farmers can increase their profits due to their production cost reduction, which is about VND 5 million (EUR 190) per ha. Take a practice on the recent pressure of Brown Plant Hopper at An Long Village in Dong Thap Province for an example (See Table A). The farmers who earlier received the trainings did not apply unnecessary chemical treatment when the density of pests did not reach the recommended threshold level. 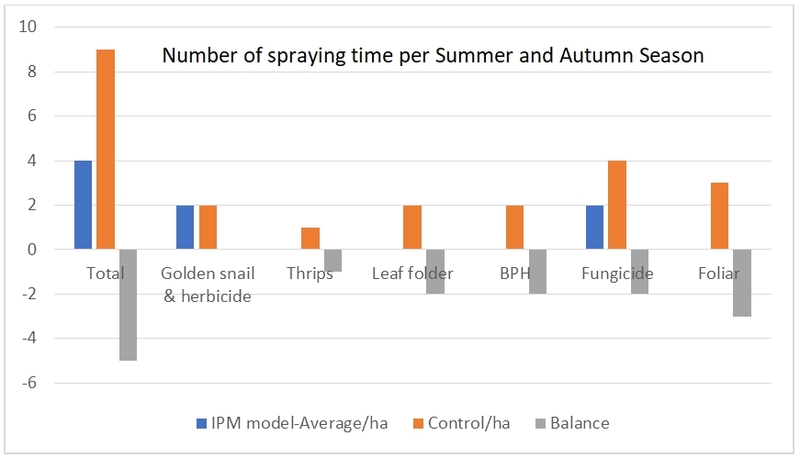 Compared to the convention farming which nine spraying times per season were perceived, the IPM farmers only spray four times during the season (See Table B). In addition, the trained farmers agreed to not applying the restricted active ingredients based on the European market requirement such as Chlorpyrifos, Diazinon, Difenoconazole, Fenitrothion, Hexaconazole, Isoprothiolane, and Tebuconazole. 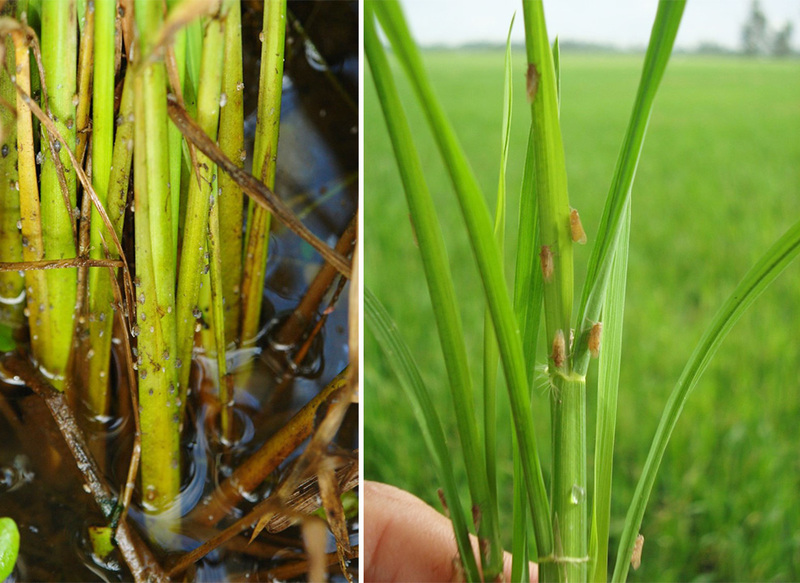 According to the Plant Protection Department’s report (Summer Season), the brown plant hopper outbreak in Mekong Delta infected more than 10,500 ha, and yellow rice stunt disease occurred in more than 6,200 ha. 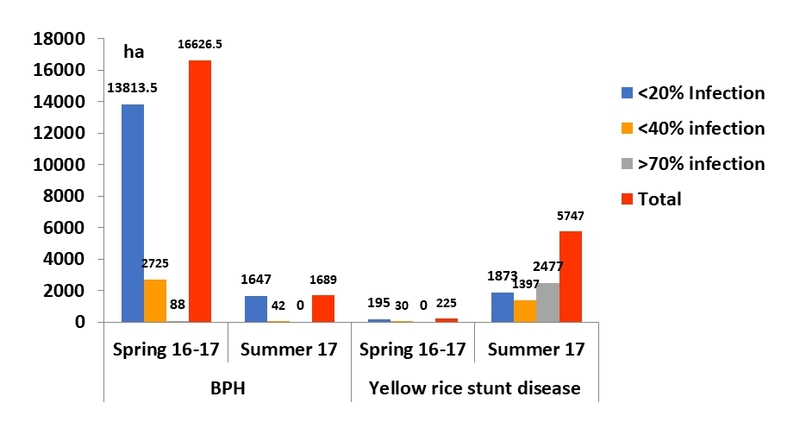 In Dong Thap province in particular, 5,747 ha was infected by the brown plant hopper outbreak (See Table C). 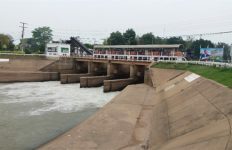 However, it was found that the trained farmers in all three training sites including Dong Thap, Kien Giang and Hau Giang Provinces managed the brown plant hopper infection in line with the training knowledge of pest management, chemical responsible use and recommendations received during the IPM trainings. 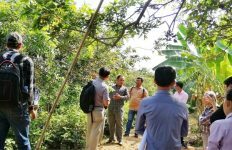 Besides, in coping with the brown plant hopper outbreak and yellow rice stunt diseases, the Plant Protection Department of Viet Nam organized a regional meeting on 9 June 2017 in Tien Giang province. 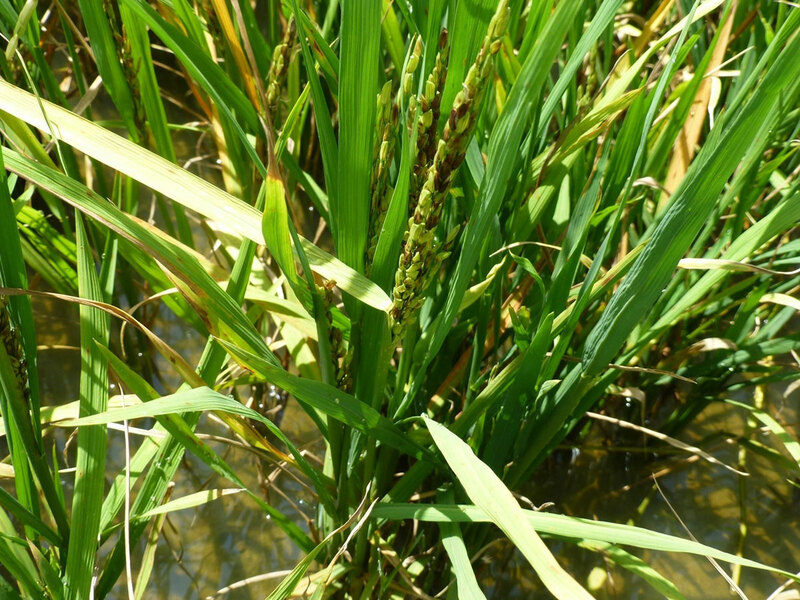 One of the solutions to address the outbreak and mitigation of yellow rice stunt diseases was to continuously promote the IPM model by IPM training for more farmers and establish a team of the plant protection staff to make a warning at the early stage of the brown plant hopper outbreak to farmers and local authorities at a commune level as well as to provide advice in dealing with the situtation. The IPM trainings under the Better Rice Initiative (BRIA) project is co-financed by Croplife International and implemented by GIZ in the tree Mekong Delta provinces of Viet Nam in a period of 2015 until 2017. 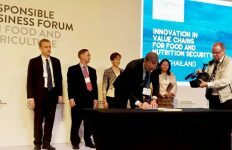 This private partnership cooperation reached more than 12,000 farmers and 900 retailers in Dong Thap, Kien Giang and Hau Giang Provinces. The participants learnt through the 12 IPM ecological modules during 12 weeks of the rice cropping pattern designed by local experts, farmers who have earlier been trained on IPM, and international consultants from both International Rice Research Institute (IRRI) and Food Agriculture Organization of the United Nations (FAO). The demonstration plot which adopted the FAO’s Farmer Field School methodology was part of the modules. The IPM trainings from early season 2015 to summer season 2017 have strong impact on the farmers and local retailers as well as 39 local government officials who were trained to become master trainers to train the participants. BRIA is a sister project of ASEAN Sustainable Agrifood Systems.